On May 25-27 there was a great motorsport event – Speedmachine Festival. The place known to all fans of motorsport from the Formula 1 competition turned into a capital of world rallycross for two days. 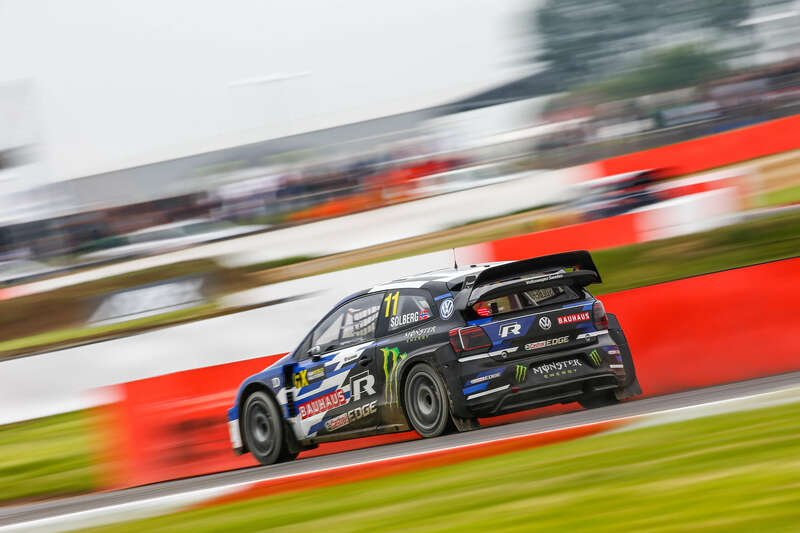 It was on the completely new Silverstone RX circuit that the last round of the FIA World Rallycross Championship took place. Until the last minute it was not known whether Timur Timerzyanov would take part in the competition and he applied for a visa. Fortunately, he managed to complete the formalities and took off. The races were traditionally preceded by training sessions. Drivers had the opportunity to drive for the first time after the new track. Training was therefore extremely important. Rallycross stars had to learn every turn, joker lap and develop the appropriate tactics for individual races. Mattias Ekström achieved the best result during the training. Petter Solberg won Q1 at Silverstone. Mattias Ekström, Sébastien Loeb and Johan Kristoffersson, took the next place. Championship leader had no problems in the first race. The Swede passed the 4,590 second mark before Jérôme Grosset-Janin. The third was Tamás Kárai (+7,493). Andreas Bakkerud overtook Timmy Hansen by 0.487 seconds in race 2. Behind them was Tommy Rustad (+3.280), Guerlain Chicherit (+3,444) and Grégoire Demoustier (+6,424). Timur Timerzyanov led to the last lap in race 3. The Russian rode Joker Lap – and lost by 0.976 seconds with Kevin Hansen. In the last race, Petter Solberg ran away from Sébastien Loeb, winning the best qualifying time. 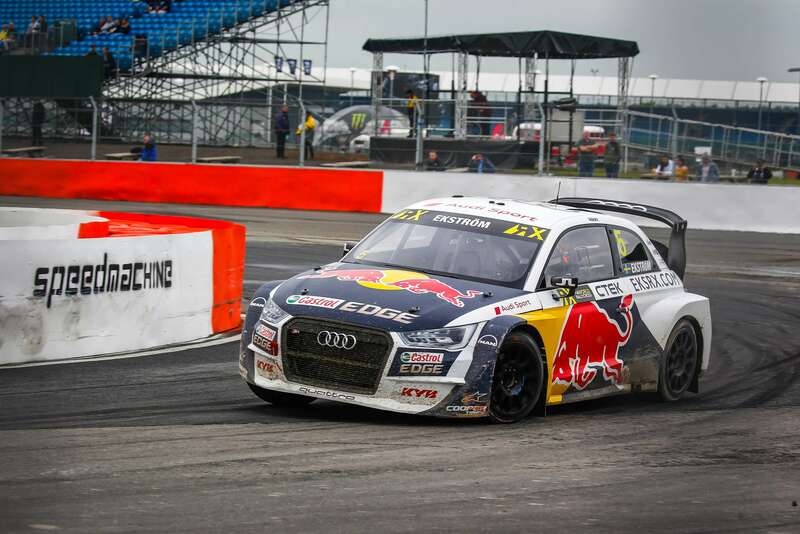 The second qualification of Silverstone RX was won by Timmy Hansen. 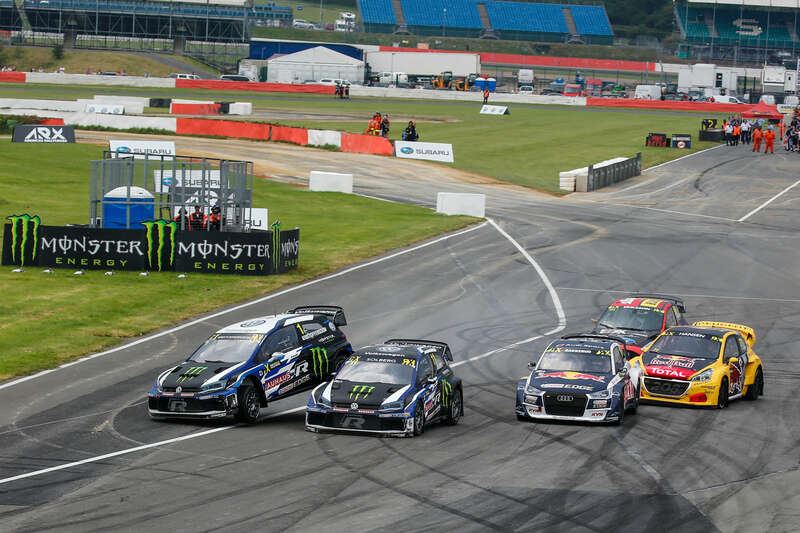 Ekström finished Q2 with the second time – beating Solberg, Bakkerud, Kevin Hansen and Kristoffersson. There were many indications that the current champion will have problems in the fight for 1st place in this round. The first two races were won by Anton Marklund and Robin Larsson. In the third heat, Jérôme Grosset-Janin, who led the beautiful Renault Mégane RS and defeated Kevin Hansen, showed himself very well. In the fifth race, both Kristoffersson and Ekström traveled the joker lap already on the first lap. This mixed up the order of the players. The third lap brought a lot of excitement. It was then that Solberg and Loeb scored Joker Lap. Finally, Mattias Ekström won with 0.33 s advantage over Solberg. Bakkerud was third and Kristoffersson was only fourth! After all night of thought but also good fun, drivers returned to qualifying runs on Sunday morning. Kristoffersson showed up on the battlefield. The current World Champion did not delight the first day, but on Sunday everything changed. At the beginning he won the Q3, defeating Sébastien Loeb. Thus he managed to jump to the fourth place after three qualifications. Petter Solberg was the first, Timmy Hansen the second. The first race was dominated by the local star, Mark Higgins. He defeated Ma.Linghua, making his debut in world rallycross. In the second race the British again triumphed, namely Andrew Jordan. He felt great in front of the audience in his country. Robin Larsson continued his winning streak by winning the third race. Johan Kristoffersson controlled the situation throughout the race, achieving great time and first place in his race. You can see that he didn’t lose hope and had a chance for a great comeback at Silverstone RX. The last race in Q3 was won by Timmy Hansen, who strengthened in second place after three qualifications. After the break, Q4 started. Jānis Baumanis won the race 1 but did not qualify for the semi-finals. In the second race, the Briton Mark Higgins re-entered the victory. He overtook the French duo driving Renault Megane RS. In race three, Tommy Rustad defeated Timur Timerzyanov by one and a half second. The fourth race was the crème de la crème by the excellent attitude of Andreas Bakkerud, who defeated Kevin Eriksson and Kevin Hansen. The fifth gear brought the most emotions. Johan Kristoffersson ran throughout the race, going to Joker Lap during the last lap and probably defeating the other drivers. Sébastien Loeb was right behind him. The two best drivers of the last race were starting from pole position in the semi-finals. 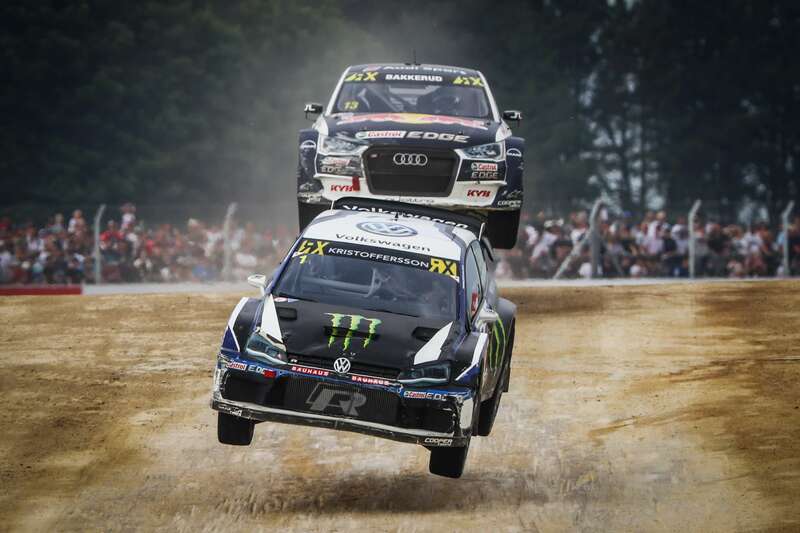 Buddies from PSRX Volkswagen Sweden, Petter Solberg and Johan Kristoffersson collided in the first corner during the 1st semi-final at Silverstone RX. Kristoffersson fell into tires and red flag was hung. Mechanics made quick repair of Polo and Swede won the replay of the race. Solberg withdrew on the third lap. Andreas Bakkerud and Kevin Hansen were promoted to the final too. In the 2nd semi-final we had the opportunity to watch Sébastien Loeb’s perfect drive. Peugeot driver beat Mattias Ekström by half a second. Timmy Hansen was eliminated, Niclas Grönholm had opened way to final. Loeb was at the start and after contact he dropped to the last position. After the first lap he managed to win the fourth position. The race was steadily led by Kristoffersson. Over the next laps, successive drivers included passing the joker lap. The Swedish World Champion has waited until the last lap! However, he did not give the first position by defeating Bakkerud by 0.8 seconds. Sébastien Loeb, despite the weak start, won with Mattias Ekström a 0.6 second difference and won his place on the podium. See for yourself.